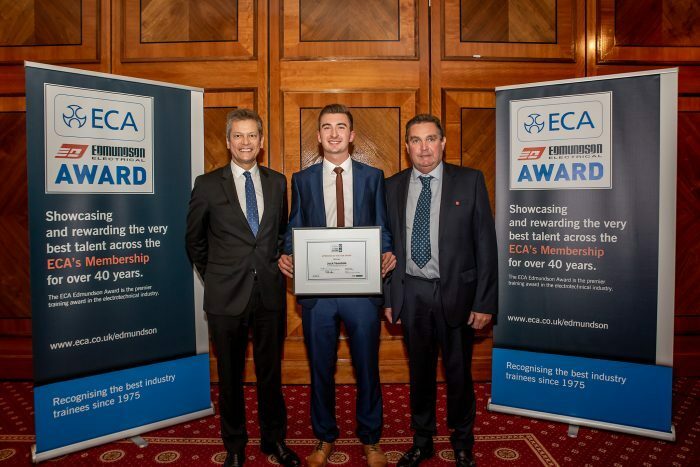 Now in its 43rd year, the award is widely recognised as one of the most prestigious training awards in the electrotechnical and engineering services industry. The three finalists will not only have good technical skills, but will also be role models for others in the industry. The winner will be recognised as an industry ambassador and be involved with ECA campaigns and events during the year. They will also receive an array of prizes, including a £1,500 cash prize, a state-of-the-art toolkit, and a unique study trip overseas hosted by a major electrical industry manufacturing company. There are also great prizes for two runners-up, including a £750 cash prize, a toolkit and a certificate of commendation. Eligible applicants will have completed their AM2 between April 1, 2018 and March 31, 2019. The entry deadline is Friday 21 June 2019. For details on how to enter, visit www.eca.co.uk/edmundson.